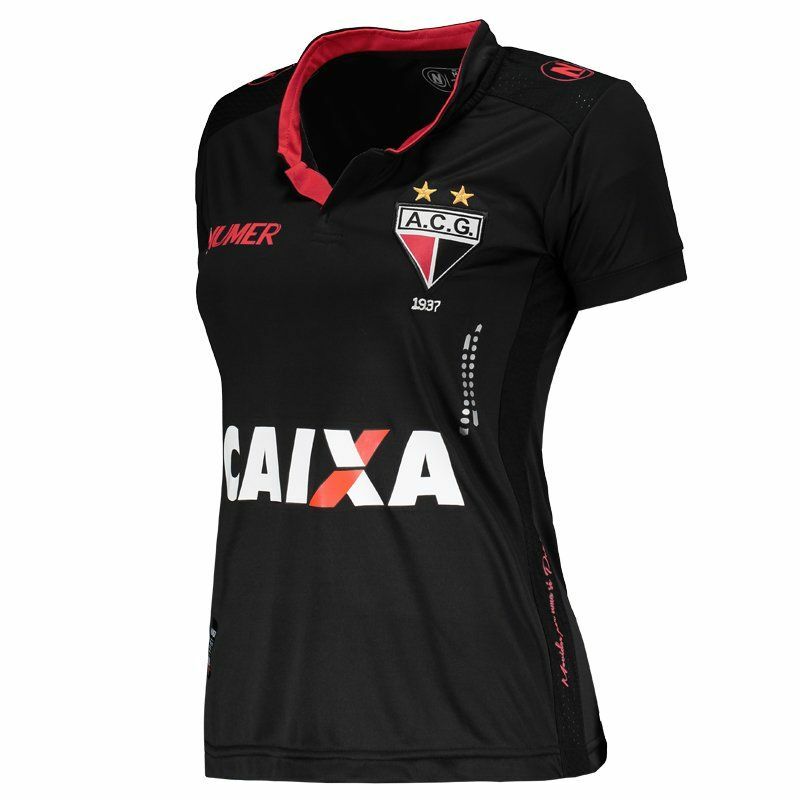 The Numer Atlético Goianiense Third 2016 Women Jersey, made in light polyester with New Dry® technology, offers a lightweight, comfortable fabric and provides high absorption of body sweat, keeping it dry and at a stable temperature. More info. 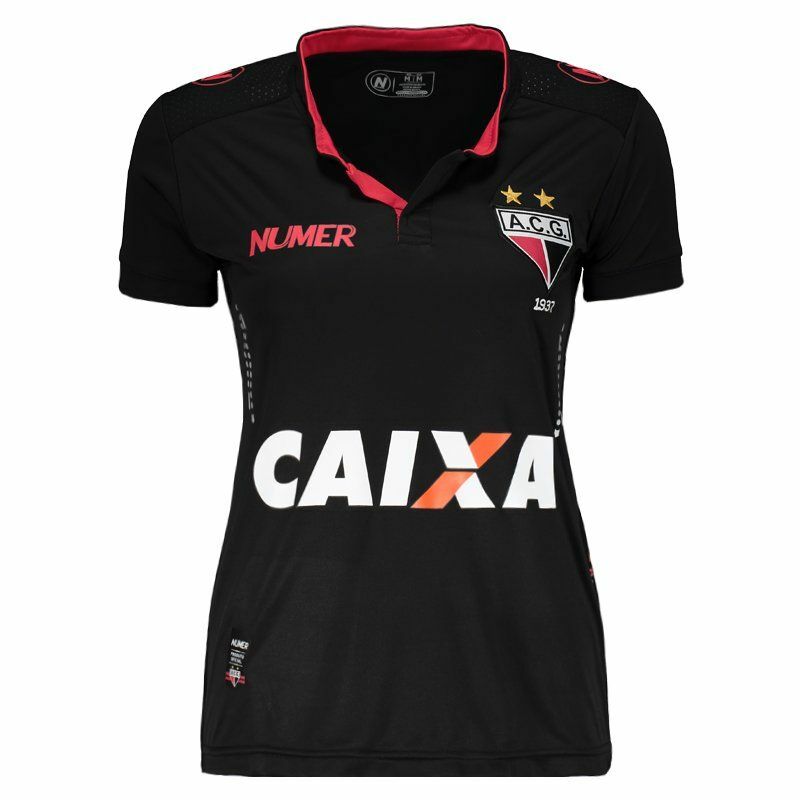 The Numer Atlético Goianiense Third 2016 Women Jersey, made in light polyester with New Dry® technology, offers a lightweight, comfortable fabric and provides high absorption of body sweat, keeping it dry and at a stable temperature. It can be customized with name and number and the design brings the black as predominant color with details in red, as the collar, which in turn, is mandarin. 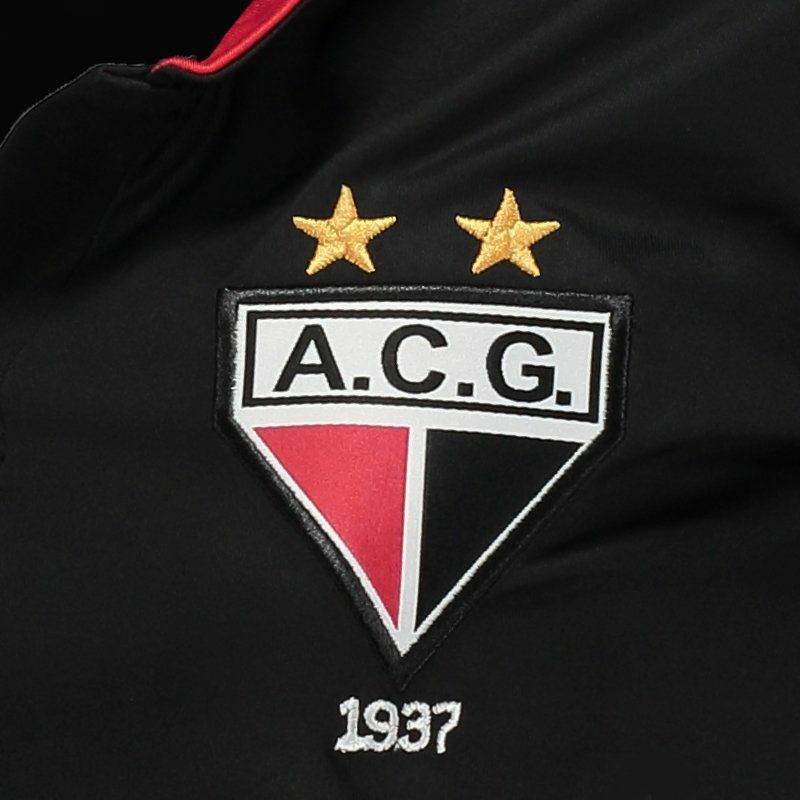 The team's badge is seen embroidered on the left side of the chest, as well as the year of foundation, and in the central part it brings the champion patch of the 2016 Brazilian Serie B. Next to the side, the inscription "Movidos por uma só paixão!" is present. Finally, sponsor logos are seen throughout the composition. 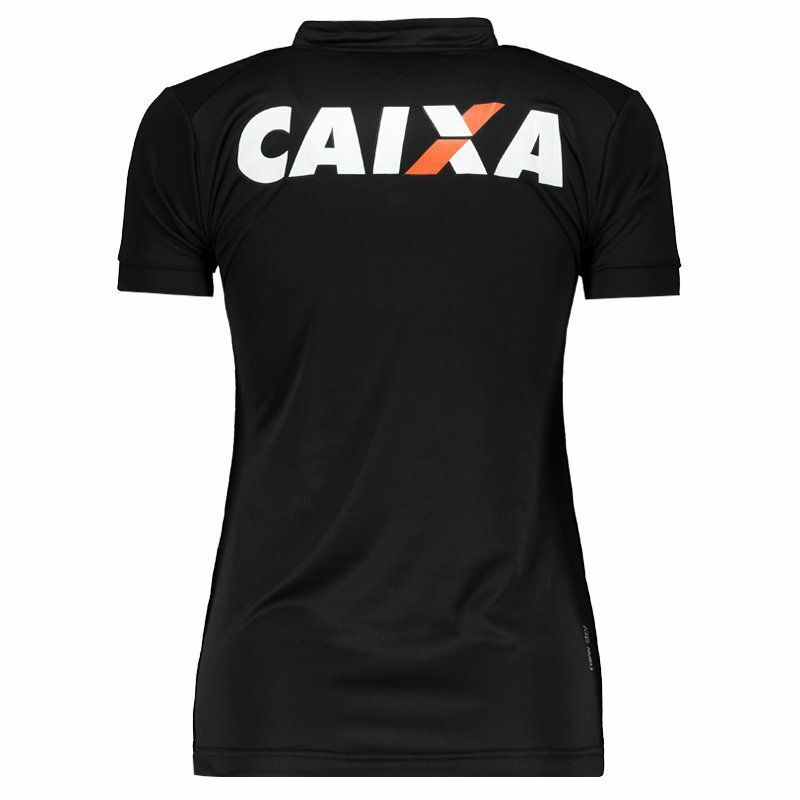 Light and comfortable, the third shirt of 2016 is ideal for the fan to demonstrate his love for the Dragon whether on the field, in the crowd or day by day.